Grand Junction and Grand Mesa are awesome for Van Life! There are great camping and boondocking spots in the surrounding BLM and National Forest and we even found a few spots next to the River beautiful river. For sure we recommend a visit to downtown Grand Junction and Colorado’s Grand Mesa which is one of the largest flat-top mountains in the world! The stunning Colorado National Monument is just outside of Grand Junction and definitely worth a visit. There is great hiking, trail running and cycling in the surrounding area as well as at Grand Mesa and Colorado National Monument. There’s even petroglyphs to be found on some of the nearby trails. Also kayaking or river rafting on the Colorado River are great options. Palisades – the neighboring town is really cute and has many great cafes and restaurants and artisan shops. We really loved our time in and around Grand Junction and definitely will be back one day for more exploring, hiking and wild camping. Thoughtful gifts from the heart are the best! Even better, if they are good for the environment as well! 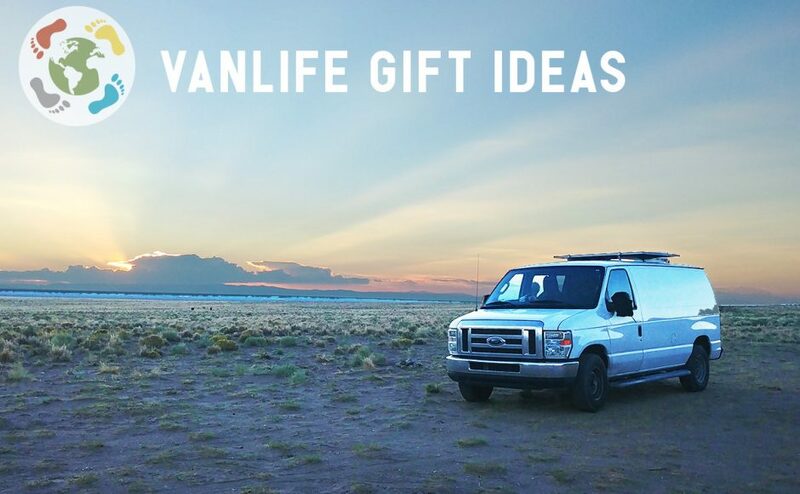 This is our top 20 gift list for the environmentally conscious and nature loving Vanlifer, who travels and/or lives in their Van! These are all items that we use on our travel in our Van, or that we wish we had when starting Van Life. We are not sponsored by any brands but chose these items entirely because of their quality and positive ratings and reviews. This is a one of a kind camping experience! For only $49/year this Harvest Hosts membership allows for unforgettable and unique camping experiences at over 600 participating farms, breweries, wineries, museums etc. With this membership, the hosts allow for an overnight stay on their land at no additional cost while members are encouraged to drink, eat or shop at the host’s establishment before going to sleep on their property. 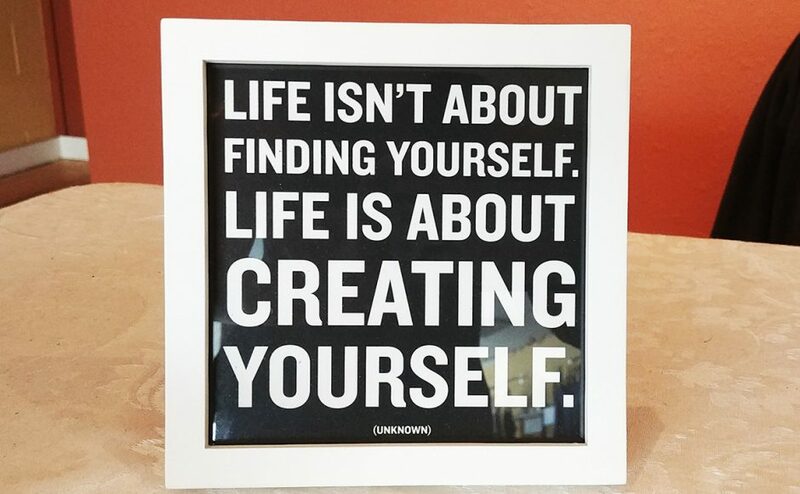 It’s a win-win situation that provides for unique experiences, learning opportunities and social exchange that make for wonderful memories. Please know that tents are not allowed and the members must stay in a self-contained Van, RV or Bus with an integrated toilet solution and dirt-water collection. The leave-no-trace principle is mandatory and Vans, Buses and RVs need to be pre-approved (via online-communication) for membership. We had some amazing camping experiences thanks to this wonderful program and highly recommend it! 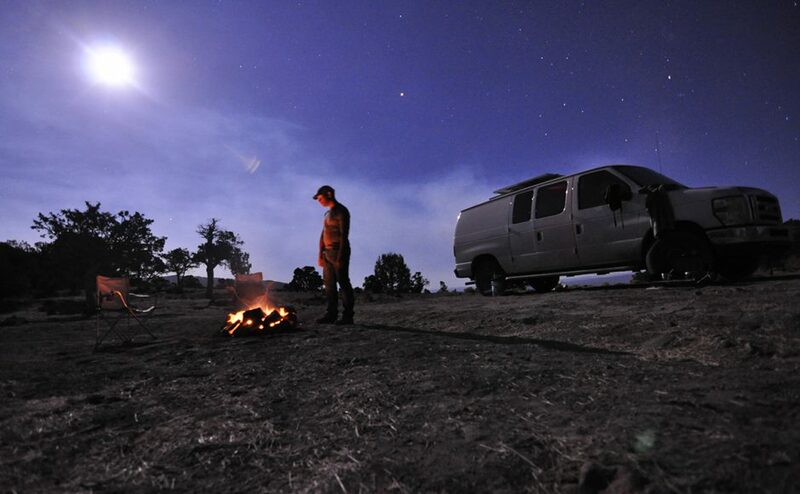 Keeping cozy and warm can be challenging when living in a Van, especially since spending time in the great outdoors is a big part of Van Life. 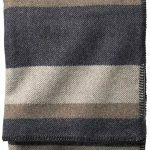 These naturally warming wool blankets by Pendleton are made of virgin wool, sustainably manufactured and pass strict standards of sustainability, leaving the smallest possible impact on our earth. They are soft while providing warmth and come in different colors and patterns. This little powerhouse is a great battery generator for those days when the sun don’t shine. In addition to the solar power that might be installed in a Van, this is a great backup solution. 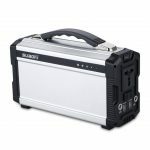 We use its bigger brother, the Suaoki 400Wh generator battery as our backup power source in our Van to charge laptops, phones, cameras and even the fridge when our solar batteries are running low. We also use this when we work on our laptops from a cafe with no outlets or at a picnic table in the middle of nowhere so we can stay charged for the whole day while being off-grid. This Suaoki 222Wh wonder-box is a smaller, lighter and more affordable but still powerful version of the popular Suaoki 400Wh and Goal Zero power stations. The Lithium battery pack provides power supply through a silent 110V/60Hz, a 200W AC power inverter, DC 12V & USB ports, and can be charged via solar panel, a regular AC wall outlet or DC car charger. We charge it while we drive or when working from a location with available outlets. Combine it with a solar panel for the perfect small off-grid solution! A great gift for Van Life, camping, tiny home or as an emergency backup for sure! Living in a vehicle where the whole interior is subject to earthquake-like conditions on a daily basis, it is wise to eliminate breakable items as possible. 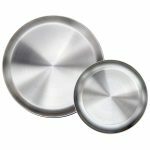 These quality grade stainless steel plates by Immokaz are the perfect dishes for any adventurer. They are functional, easy to clean, super durable while being light weight, and visually pleasing. We have used them for many years and have slapped them around quite a bit and they do not have any dents whatsoever. We love their quality and that they can be recycled at the end of their life. We also recommend to add some stainless steel cups and mugs. These nesting bowls by Cuisinart are made of stainless steel, which makes them durable and easily recyclable at the end of their lifetime. 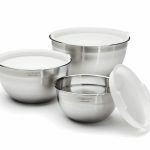 We love these bowls as they are unbreakable and we use them for pretty much anything, we even eat directly out of them when we make one pot dinners, soups, salads, stews and saucy meals. They are also great to hold our snacks during drives or at the campfire and for storage of leftover food. Since space is limited in a Van these bowls are great as they store neatly while being stacked and nested. 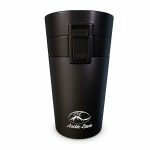 holds 20 oz while it fits in a standard sized cupholder, is sturdy and ideal for travel. It holds drinks cold for 24 hours and hot for 8 hours. It comes in many different colors and patterns from plain silver to crazy hippie looks, so there’s one for every taste for sure. We love this mug and bring it wherever we go, even when we grab a cup of coffee or tea at Starbucks or other chains where we even get a discount for bringing our own cup! Reducing single-use paper cups and plastic trash is a good thing and helps the environment for sure! These sheets by Whisper Organics are the coziest sheets and pillow cases I have ever slept in! 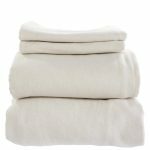 Even better, they are manufactured with 100% organic cotton that is fully GOTS Certified (Global Organic Textile Standard), non-toxic and chemical-free. They are made of great quality, don’t shrink in the wash. and are durable and soft all at the same time. They come in different earth-tone colors, we love the grey version as it is visually a bit less sensitive to dust and dirt in comparison to white since van life and dirt go together like apples and piecrust! Living in a Van includes bringing a lot of dust and dirt into the Van and living space just from getting in- and out so often, especially when spending time out in nature. This little handy broom will help to keep the Van clean. 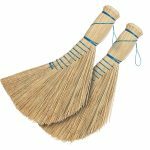 Since floorspace and storage space in a Van is usually very limited, this little broom is the perfect size, it’s small enough to be easily stored while big enough to get the job done. 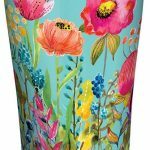 It can be used indoors and outdoors and easily reaches small corners and tight spaces. This brush is made by Redecker from Sorghum Rice Straw which does not absorb water and can be used for sweeping dust, dirt, wet leaves, snow or moist surface areas as well. A great handy tool for sure! Having the convenience of a hot shower in the middle of nowhere is just a wonderful experience! 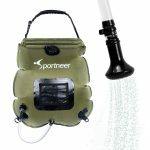 This simple shower bag by Sprtneer can be filled with water from the river, creek, lake or any other water source (use a water filter if needed), lay it to rest in the sun and a few hours later a hot shower awaits! This bag holds 5 gallons, which is more than enough for 2 people. Using the power of the sun is a great way to save on propane or electricity and allows to use it off-grid which is great for the adventurer, Vanlifer and camping addict alike. We love these little lights, they are perfect for Vanlife and great for outdoor and indoor use. These solar powered lights are a simple solution with great design. The light made by Mpowerd is inflatable and easy to store, shatterproof, waterproof and comes in different light variations from warm eggshell to bright white as well as in different colors. It is powered by the sun and charge takes about 8h of direct sunlight, it also can be charged under cloudy skies or incandescent light if needed. Once charged fully, it will stay lit for about 6-12h. We put it on our dashboard during the day and use it at night. 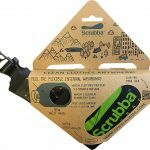 A must have for any adventure traveler, camper or Vanlifer. 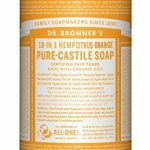 This pure-castille soap by Dr. Bronner’s is a great gift for anyone. It is made with organic ingredients and essential oils and is 100% biodegradable. It is versatile and can be used for showering, washing hair, dishes, clothes, surfaces and pretty much anything else. This one is made with organic orange, lemon and lime oils and the aroma is soothing, refreshing and invigorating all at the same time. This soap is certified organic by the USDA National Organic Program and certified Vegan by Vegan Action. The packaging is made from 100% post-consumer recycled (PCR) plastic bottles. A great alternative to the public laundromat for those days when you need to wash a small load of clothes while traveling. This bag is lightweight and has a special inner surface that works like a washboard while using only little water. Simply fill with clothes, water and a dash of biodegradable soap, close, and deflate the bag, then rub clothes against the washboard for 30 seconds to 3 minutes. A great way to wash your clothes on the go without the use of electricity while saving water! Super light, easy to store and versatile in use. 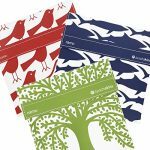 These little reusable food-storage bags are a great alternative to single-use plastic ziplocs or other plastic bags. They are durable, easily washable and perfectly cut for a standard-sized sandwich. We use them almost every day to bring food on our adventures and fill them with fruit, nuts, trailmix, veggie sticks, bread, cookies and other snacks. Reusable water bottles are a must have in any household, but especially in the Eco-Friendly Van-Home. There are plenty of different brands out there of course, however, we have come to love this 20 oz bottle in particular due to its great quality. It holds beverages cold for 12h and hot liquids stay hot for up to 10 hours. We especially love this eco-friendly brand for their philosophy and sustainability and because for every item sold, Tree Tribe is planting 10 new trees. Yes that’s right, not just 1 tree, but 10 trees! What a wonderful concept! Of course the bottles are made of high quality food-grade stainless steel with a silicone/bamboo lid which is a leak-proof construction. 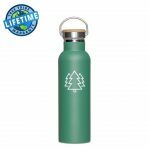 The bottle comes with a lifetime warranty, if it ever would break it will be replaced by Tree Tribe at no cost! Check out their site for more colors and designs and other eco-friendly gear. 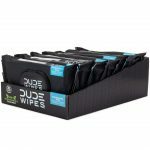 These Dude Wipes are definitely not just for dudes! These wipes are awesome, 100% biodegradable, unscented, gentle with naturally soothing aloe vera and vitamin E to protect sensitive skin. Great to stay clean during travel, when using public toilets or even when using a portable camping toilet. These wipes are septic and sewer safe, flushable or even better to be disposed in a biodegradable garbage bag. This is a fantastic way for any female adventurer to pee out in the wild with more comfort. It is also a handy tool that allows the female person to easily pee into a bottle during those desperate nights when parking somewhere in a city without having a bathroom available. This practical little funnel made by GoGirl is super elastic and soft to the touch which makes it comfortable to use for any body shape and form and is designed with a splash-guard that makes it easy to prevent splashes or spills. It is reusable, made of silicone and is 100% latex free, moisture resistant, antimicrobial and made in the USA. It folds into a small tube or bag and is a great companion for any trip or adventure! Van Life includes spending a lot of time outdoors and sun protection is a must to keep our skin healthy! 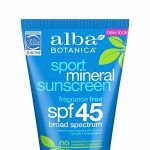 This mineral sunscreen by Alba Botanica is made with botanical ingredients like ginkgo biloba leaf extract and aloe leaf juice, is coral reef friendly and biodegradable, 100% vegetarian ingredients without any oxybenzone, octinoxate or synthetic fragrances, made without animal testing. It provides broad spectrum sun protection, is water resistant for up to 80 minutes and is recommended by the Skin Cancer Foundation. We love that it does not leave any trace on the face, is non-greasy, moisturizing and fragrance free. Such a great concept: out of old wetsuits make new yoga mats! 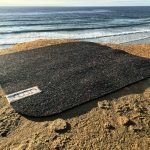 This one is the smaller form and can be used as a floor mat, meditation mat, door mat, changing floor mat or just to sit on the beach or in the grass and enjoy the views! The company SUGA makes these beautiful yoga and floor mats in the USA entirely from recycled material. They come in standard yoga mat size and thickness, and also in travel size and floor mat size. Several recycling centers are spread across California and British Columbia where you can bring your old wetsuits. A great idea that we like to support! This Atlas includes updated road maps of all 50 US States, Canada, and Mexico. But wait, there is more! This road atlas includes details for America’s 24 most favorite National Parks and 100 top adventure destinations. 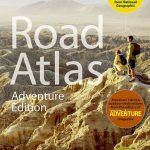 A great road atlas for the adventure seeker, off-roader and Vanlifer alike. Although printed paper is not the most eco-friendly option, we did include this item on our list because of its great value, plus it supports the National Geographic organization which in itself is helping the environment through education and financial support of different environmental projects. This pass is the annual ticket for access to more than 2,000 federal recreation sites including our beautiful National Parks, National Monuments, National Recreation Areas, Bureau of Land Management, National Forests etc. The pass also gives discounted access to participating campgrounds including US Army Corps of Engineers etc. A must have for any National Park and National Monument Lover! The annual pass costs $80 and will provide access for everyone driving/riding in the same vehicle. Looking for practical, affordable and eco-friendly gifts? 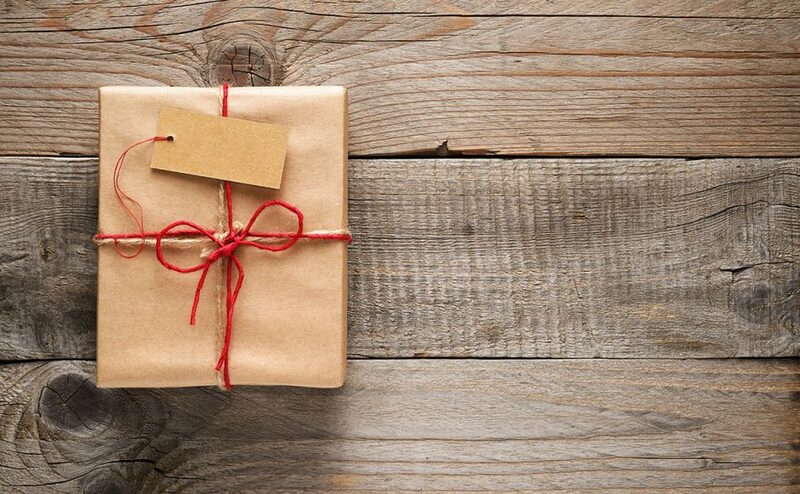 This is our list of 13 awesome gift recommendations. 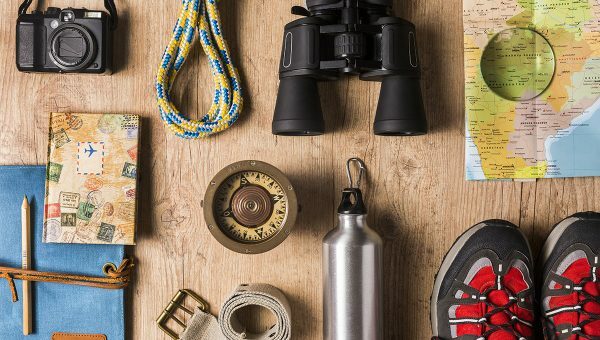 These are all items that are useful for everyday life, as well as for travel and camping adventures alike. We are not sponsored by these companies, we selected these items purely based on personal satisfaction and they all come with excellent ratings and customer reviews. Keeping it environmentally friendly makes giving even better! 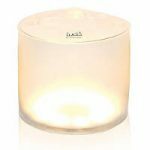 We love these little lights, they are perfect for a backyard party, camping trip, backpacking tour or indoor use. These solar powered lights are a simple solution with great design. The light is inflatable and easy to store, shatterproof, waterproof and comes in different light variations from warm eggshell to bright white or in different colors. It is powered by the sun and charge takes about 8h of direct sunlight, it also can be charged under cloudy skies or incandescent light if needed. Once charged fully, it will stay lit for about 6-12h. A great gift for those who like to bring their own lunch to work or on the road when traveling. The box has four different compartments to separate different foods and its flavors, condiments and snacks. 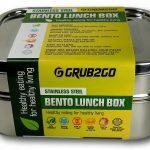 It even comes with an ideas guide for bento box recipes. The box is made of stainless steel, non-toxic & non-leaching and are BPA-free, phthalates-free, PVC-free, vinyl-free and lead-free. These simple eco-friendly food wrappers are a great gift for any household. These wrappers replace the use of aluminum or plastic foil. Made with beeswax, certified cotton, organic jojoba oil and tree resin, these wrappers can be reused over and over to wrap anything from cheese, fruits, bread, cover bowls and pots and keeping food fresh. Reducing plastic waste is much easier when using these reusable and washable cotton bags for grocery shopping. We use these when buying from bulk bins and open produce stands at the farmers market or store and they are holding up great. A simple gift with a big positive impact on the environment. We love these little bags. They are great to pack a sandwich, nuts, fruits, veggie sticks, crackers and other snacks. 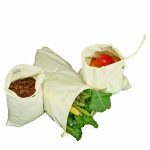 The bags are dishwasher safe and made of a quick drying water resistant fabric that is toxin free and complies with FDA standards for food safety. They are convenient pocket with a flap, closed with velcro and come in many different colors and patterns. We love this soap, as it is not only gentle and moisturizing on the skin, but can be used for shaving, laundry and household as well. And best of all, it comes in different fragrances with added essential oils. Peppermint helps clear the mind, lavender is relaxing, citrus is refreshing and rose is soothing. The soap is made from certified fare trade organic and vegan ingredients, free of synthetics or preservatives, it’s certified cruelty-free and produced without animal testing, 100% biodegradable. This Eco-friendly, cruelty-free shampoo bars is more sustainable and eco-friendly than buying bottled shampoo since there is no plastic waste. These bars by Ethique are made with Rosemary, Juniper, Basil, Lime, Lemon and Orange extracts and oils to balance oil production, clean the scalp and freshen up the hair, This shampoo bar is 100% soap free, pH balanced and safe for color-treated hair. It’s said to be equivalent to three bottles of liquid shampoo. These grill mats are a really cool gift for bbq junkies. They are made of 100% PFOA-Free silicone material, dishwasher safe and heat resistant up to 500 degrees Fahrenheit. The non-stick ability allows grilling without the use of oil and eliminates the use of aluminum foil as well. 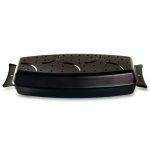 This special pan made for both indoor oven use or outdoor open fire grilling has a non-stick surface and eliminates the use of aluminum foil. We love this pan as it is very versatile and the vegetables we steam-grill over the open fire always come out juicy and flavorful. A great gift for any gourmet BBQ fan. Most people love their coffee or tea in the morning, what better way to take it on the go than with a travel mug that actually keeps the beverage hot for up to 8 hours and has a leak-proof lid. 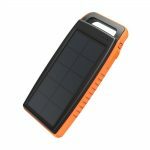 A great solution for using the sun to charge a phone, ipod or other USB-powered gadget. This power bank is small and handy, waterproof, shockproof and dustproof and comes with 2 USB slots to charge 2 phones or gadgets at the same time. It is made of eco-friendly material and comes with an integrated flashlight and emergency light and a hook to attach it to a backpack or bag so it can charge wherever you go. Batteries are extremely toxic and definitely bad for the environment. Help your friends and family to form eco-conscious habits by giving a rechargeable battery and charger pack. 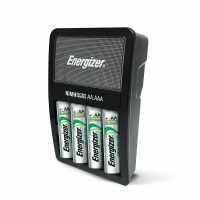 This little handy charger pack can charge four AA and AAA batteries that can be reused and charged hundreds and hundreds of times. A great gift for any household. Disclaimer: To support our cause, we use affiliate links and may receive a commission for purchases made through these links at no cost to you. We are not sponsored by anyone and list only gear that we are personally use and love. We selected the items we recommend purely based on personal satisfaction and because we like their quality.